Howards Lotus are pleased to offer this rare Anniversary Edition Evora 400 finished in Sky Blue with Orange and white stripes. The interior is finished in Black leather with Orange stitching. 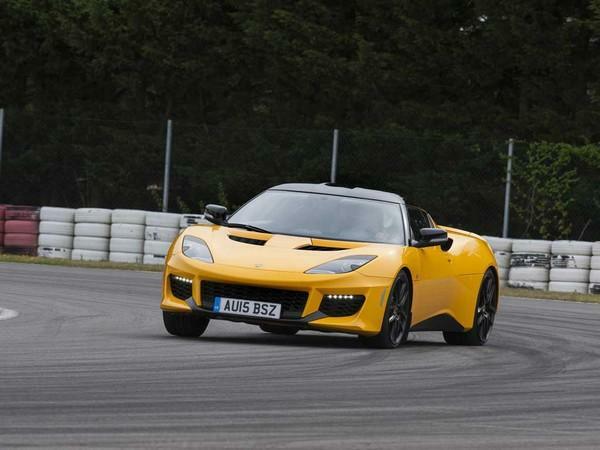 The car is supplied with a Full Lotus Service History previously supplied and serviced by ourselves. To ensure a quality of service and avoid disappointment we operate on an appointment only basis. Our cars are kept in off site under cover storage so please call to make an appointment to view this vehicle. We are ideally located adjacent to Weston-Super-Mare train station and just a 30 minute drive from Bristol Airport. We are happy to collect from both locations. Established as a single family owned garage in 1972, Howards have evolved into a multi-site group with dealerships not only in our hometown of Weston-super-Mare but also Taunton, Yeovil and Dorchester, we have 14 dealerships overall. With over 40 years of automotive heritage, we are proud of the experience and reputation we have gained for delivering quality products and services that our customers can trust. All of this is underpinned with the value and convenience expected from a modern retailer. Upgrades - Alloy Wheels 19in/20in-Gloss Black,Forged 10 Spoke, Cruise Control, Leather Pack, Signature Paint, Standard Features - Air Conditioning, Engine Start Button, Full Sat Nav, Heated Seats, Leather Trimmed Steering Wheel, Radio, Remote Activated Alarm System, Reversing Camera and Rear Parking Sensor, Tyre Pressure Monitoring System, Upholstery - Leather Trimmed Seat.